Round 1, FIGHT! Do you hear that deep and menacing voice of fear and suffering in your head? 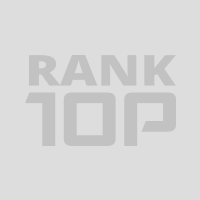 We here, at RankTopTen can’t imagine our lives without Mortal Kombat. 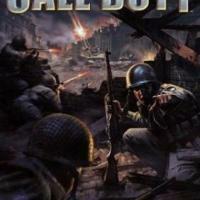 This masterpiece of video game industry has certainly created a whole new genre and earned millions of fans worldwide. Endless fights, fatalities and a whole rainbow of emotions spiced up with gut-twisting scenes. Literally. Huge popularity of this brutal gaming series resulted in every gamer having his own set of best Mortal Kombat characters. Criteria can range from female characters’ bra size to how bloody one's fatalities are. “Get over here” and let’s sort this list of Mortal Kombat characters together, with coolest at the top. Speaking of “getting there”, Scorpion vs Sub-Zero clash has an immense fan base, with an equally supportive attitude towards both the chain-outta-hand man and Frozen: male version. But our favorite fighting simulator is not entirely about this “fire and ice” rivalry, and many people lean towards other characters. What’s your pick among the strongest Mortal Kombat characters? Raiden, the defender of Earth realm or Shao Kahn, the toughest opponent you’ll ever face in the single player (unless you know the weak spot), freshmen Kotal Kahn and Erron Black, or someone else? The choice is very wide and even the most useless on the first look fighters can offer a pinch of spice to your meal. Vote for the character you love, that in your opinion brings value and uniqueness to the game and see how other fans’ thoughts on this chart of the most supported fighters. 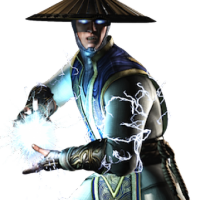 Appearing in every game throughout the years, Raiden has earned the place among the best Mortal Kombat characters of all time. A God of Thunder, he protects the Earthrealm from the threats of other worlds and is the first to assemble a rescue team. Despite being an almighty god, he still shares normal human values. Sub-Zero is the master of ice and frost. 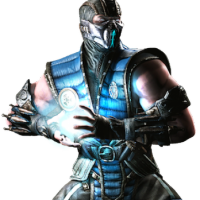 He is among the original Mortal Kombat characters and a member of Lin Kuei assassin group. His cryomancer strengths made him a powerful opponent, fueled with remorse and anger. 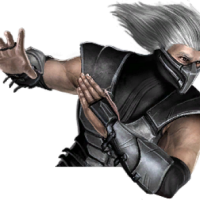 He falls to Scorpion’s hands and is later reborn as Noob Saibot. One of the strongest Mortal Kombat characters and definitely an annoying boss to fight against. 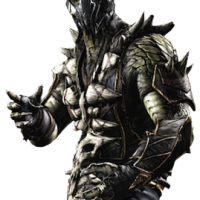 He is the successor of Onaga on the throne of Outworld and invades the other worlds because of the lust for power. 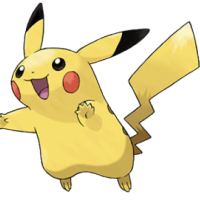 He is the primary antagonist in many games of the series. 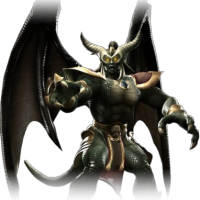 Onaga, the Dragon King is among the most powerful creatures in the entire Mortal Kombat universe. 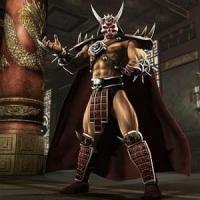 He is the previous ruler of Outworld and so strong that Shao Kahn himself was too afraid to fight him and poisoned Onaga instead. He is nearly immortal and invulnerable, even the mages and gods can’t stop him. An exchange of different color palette was the original Mortal Kombat, hidden by a formidable wrestler reptiles Mortal Kombat II character and is still one of the most popular characters of the franchise. Reptiles are displayed in the color green in a Ninja/Scorpion is form, but in reality the giant lizard eats heads. He can also spit acid and you know, like lizards. The special premium in respect of the fight against the game and has an absurd story about how his last race was thousands of years, the first ever hidden characters in an old and one of the biggest losers in franquiciasiempre its complete before finding its way, or excited or anything close, and then in prison for genocide or killed by God. When you use a human Ninja seems Scorpion, until they are exposed to reveal scary lizard low. One of the best Mortal Kombat characters and original fighters, Liu Kang is a representative of the Earthrealm. He is a Shaolin monk and earlier games did not even let him kill the defeated enemies. 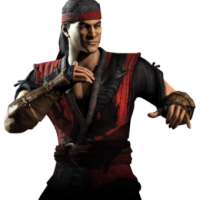 Liu Kang has mastered martial arts, has superb strength and agility that made him victorious in the majority of tournaments. 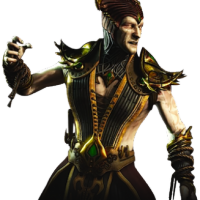 One of the most hated Mortal Kombat characters, Shinnok serves as an antagonist at about the same level as Shao Kahn does. A fallen Elder God, he has combined his ancient powers with a mission of hatred and vengeance, becoming even more powerful being. He relies on manipulation and magic to kill his opponents. His story in Mortal Kombat started off as a glitch and his name Ermac was actually a shortened Error Macro. 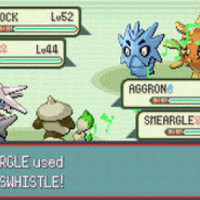 His popularity earned him a place in the future games. 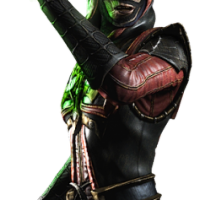 Ermac is a telekinesis master and a collection of souls brought together to be trapped in one body with huge strength and desire to kill. 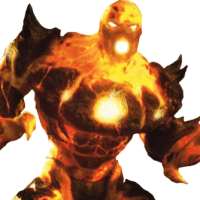 One of the strongest Mortal Kombat Armageddon characters, Blaze is an Outworld male elemental. His body is covered in flames, hence the name. He operates with anything related to flame and is the catalyst of ultimate power, giving it to the fighter who defeats him. This guy has not yet managed to earn his place among the strongest Mortal Kombat characters, but his popularity is now worldwide. 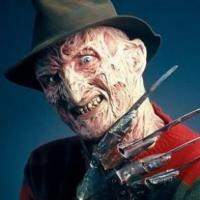 Though lack of mobility and speed may be an issue for someone, Freddy’s claws and strength do the trick. His fatality is also the one to remember by true fans of the movie.